What clamp do I need? The Sawyer Rim Clamp is designed to take on some of the toughest reforming jobs in the pipeline industry. These clamps make easy work of aligning and reforming jobs when other pipe clamp and line up clamp options aren’t up to the task. The manual lineup Rim Clamp provides a viable alternative to the Double Chain Clamp for users who prefer an external line up clamp with a rigid shell. 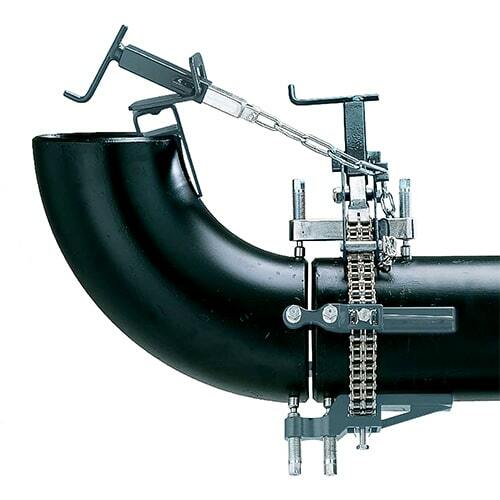 This alignment clamp is designed for use on out-of-round pipes that require a high level of alignment accuracy. 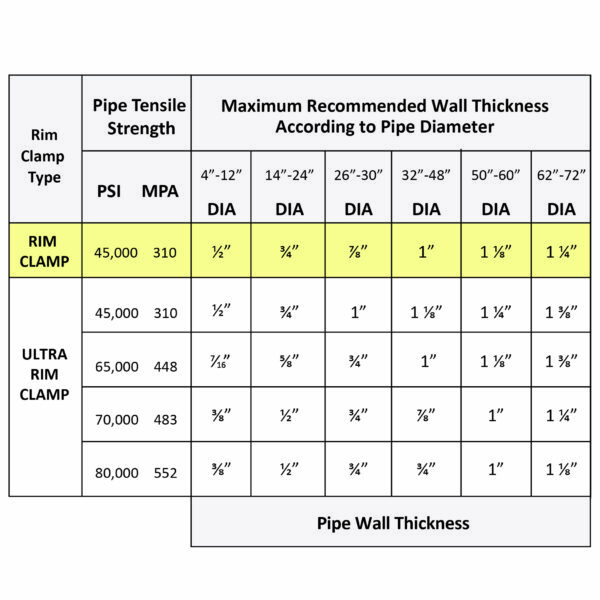 The Rim Clamp will reform 45,000 PSI tensile strength pipe up to Schedule 80, with out-of-round conditions up to 2″ (51 mm) depending on wall thickness. This line up Rim Clamp is available for 4” pipe to pipe larger than 72”. 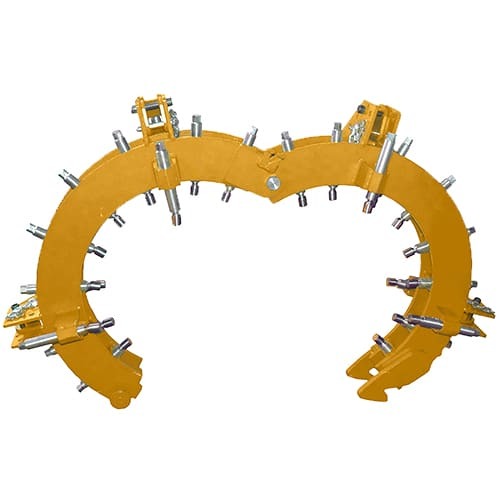 Featuring versatility and strength, this alignment clamp should be your pipeline welding clamp choice to accomplish a variety of pipe-to-pipe fit up requirements. Featuring heavy duty, galvanized jackscrews with pivoting pads and a jackscrew setting gauge that makes initial setup easy, accuracy and reliability are ensured. This pipe alignment Rim Clamp is rigid, durable and extremely accurate. When precise alignment capabilities and versatility are in order, the Sawyer Rim Clamp is an excellent choice.